Almost 90% of Americans have car insurance while only a small percentage actually have to use it for car accidents or other damages. However, out of the millions of gun owners in the United States, only a small percentage of them have legal insurance even though the risk is ever increasing with liberal politicians targeting gun owners. Only 28% of Americans have money saved for emergencies yet gun owners believe that they would be able to afford the outrageous legal fees if the time comes for them to ever use their firearm in self-defense. In this USCCA review, I wanted to give gun owners insight on an option that will help cover legal fees if the time ever comes. After considering these stats and weighing them against the liberal attack on guns I decided it would probably be best to have some sort of insurance. Because I definitely wouldn’t be able to afford the legal fees out of pocket. A few years ago I had to fight a civil lawsuit and the financial burden almost broke me. Charges involving a firearm have exponentially higher fees associated with them because of the complexity of those cases. So in my search for CCW legal insurance, I found that there are many providers in the market. However, many of them do not have a track record, couldn’t provide any testimonials of their work and couldn’t find any social proof (reviews like on social media channels). I eventually decided to go with USCCA (United States Conceal Carry Association) after doing the research. Gives you the option to choose your own lawyer or allow USSCA to assign a preferred lawyer from their network for criminal cases. In civil matters, USCCA will assign a lawyer to your case. After using your firearm you will need to contact the authorities immediately. Once they arrive you should have already placed your firearm on the ground securely. Then OBEY what the officers will be yelling at you. They will be acting aggressively and speak loudly as they secure the scene. This is not only a dangerous situation for you but also the officers who are risking their lives as well. Once they have handcuffed you then you will need to invoke your right to remain silent without representation IMMEDIATELY. DO NOT ANSWER ANY OF THEIR QUESTIONS! This can be used against you in the court of law. You can even give them a card that USCCA provides you that explains your right to remain silent. Once you are able to call your lawyer then you need to contact USCCA to explain the incident. They will immediately assign a lawyer to your case and post your bail. From there you may have to go to court if charges are pressed. USCCA will cover the lawyer retainer and ongoing fees along with other court fees. This is paid on an on-going basis. When doing business with anyone there is always going to be a level of skepticism when deciding if the price is worth what you will get in return. Being that this is CCW legal insurance you may not ever have to use the insurance. That is certainly the best case scenario. Then there are those that believe that if they did nothing wrong then they don’t have to worry about defending themselves in court. Which is certainly not the case as I explained the story of how Bill was wrongfully accused but still had to spend thousands of dollars to clear his name. The fact of the matter is that there is a risk of being a CCW holder regardless. It ultimately comes down to asking yourself is it worth paying $13 to $33 per month for peace of mind even though you may never have to go to court? In my opinion, it totally is worth having that peace of mind. However, USCCA goes beyond just providing legal insurance. They provide tremendous value beyond that with their free training for customers, magazines and even weekly giveaways where they give away a free handgun. I would actually prefer USCCA to handle the legal process for me. Going to court or jail is an extremely stressful situation. If it involves shooting someone that level of stress will be exponentially higher. Instead of being lost trying to find the right lawyer or what to say and do it feels good knowing there is someone that will handle that for me. The training alone has been invaluable to me. There are training such as how to conceal carry, gunfighting tactics and so on. They are also extremely responsive online and even by phone if you ever have a question. I wanted to provide this USCCA review to encourage CCW owners to get legal insurance. USCCA would, of course, be my recommendation but there are others out there. If you are willing to spend hundreds and sometimes even thousands of dollars to defend yourself then you should also be willing to spend a few dollars for what happens after you defend yourself. Shockingly USCCA doesn’t have any negative feedback under the reviews. Of course, you are always going to have some trolls and haters but no one on their page has posted any complaints. USCCA sends many emails promoting their others training products and giveaways. However, you can always unsubscribe from these emails if they are too much for you. I actually enjoy learning about their other products that I may purchase in the future. Overall in this USCCA review, I would highly encourage you to become a member. You spend hundreds and even thousands of dollars to protect yourself why not spend an additional $13 to $33 per month to protect yourself in court? 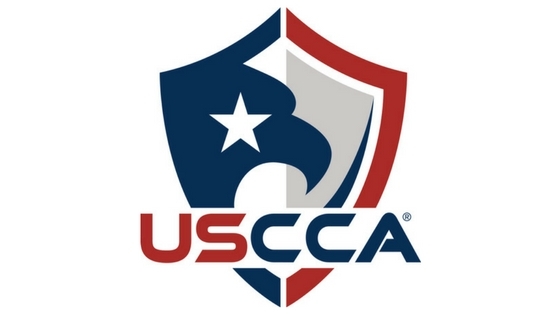 Check out USCCA for yourself. If you have any questions feel free to leave a comment below or send me an email to aaron@smartpreppergear.com.